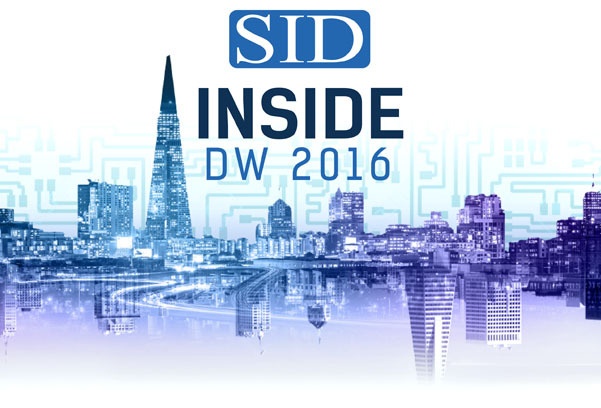 Here's Your 2nd Issue of Inside Display Week 2016! 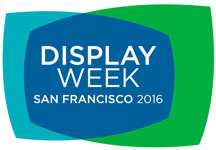 Welcome to the second edition of Inside Display Week 2016where youll find all the latest information about the must-see event of the year: Display Week 2016, which will be held May 22-27 in San Francisco. Only three months away, the show has exciting, new features lined up, including the New Product Showcase  a kind of table of contents where youll see exhibitors latest technology and inventions all in one place to help you map out your Display Week experience; and an up-close look at the latest in vehicle display technology. We are also continuing one of our most popular exhibits, the I-Zone, where youll see emerging technology and prototypes for future display products. In addition to the three-day exhibition, Display Week 2016 holds other great experiences that make this event unique. Of course, Display Week features our world-renowned four-day technical symposium  where youll be able to learn from the latest and greatest technology developments in the display field and, at the same time, network with global industry leaders. 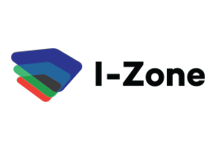 Special areas of focus are the rapid growth of: augmented and virtual reality, digital-signage display solutions, lighting, TFTs and display circuits on flexible substrates,vehicle displays and user-interface technology trends, and wearable displays. We will also have our Sunday Short Courses, Monday Seminars; and our well-known Business Conference, the Investors Conference, the Wearable-Flexible Conference and the Touch Conference  all focused on the latest and greatest advancements. 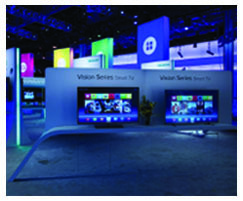 Industry CEOs are using Display Week as the once-in-a-year opportunity where their teams and staff members, can get the latest news, views and developments about electronic displays, touch screens and materials. Their teams return with ideas that impact their product roadmap and offer opportunities to build a larger ecosystem of suppliers. Imagine: The worlds leading technology display products, innovators, academics, scientists and inventors all under one roof  and youll have the chance to experience it all. It doesnt get better than that! And while youre in San Francisco, you may also want to take advantage of its proximity to one of the worlds most famous technology hubs, Silicon Valley. Check out all the latest news below, register today, and join us for what we know will be the best Display Week yet! We look forward to seeing you in May. For the first time ever, exhibitors will have the opportunity to present their newest products at the New Product Showcase. This unique exhibition, designed to provide attendees with a one-stop-shop where they can see the new products on display at the show, will be located right next to the I-Zone. We are also developing an on-site exhibition featuring the latest innovations in vehicle display technology. Check our website often to find out more about this exciting demonstration. Our Innovation Zone underscores the No. 1 reason to attend Display Week 2016: Its where youll see the newest technology before anyone else does. One of the most popular exhibitions at Display Week, the I-Zone features products and technology that havent yet hit the marketplace. That means youll not only learn about whats next, but youll also have the opportunity to see how the newest technology can impact your own current and future products, and get a jump on the competition. I-Zone exhibitors are chosen by apanel of judges and winners will receive a free space to demonstrate their innovations. We thank E Ink for once again sponsoring the I-Zone. Learn more. We know that networking is an important part of the conference experience and that is why Display Week offers so many opportunities for you to connect with and learn from peers, colleagues, industry professionals and world-renowned scientists. The 2016 Lobby Networking Lounge will take place in the hip, subterranean level of the Moscone Center. Feel free to use the lounge for your casual meetings with industry colleagues. No reservation required. A towering T. rex is the perfect juxtaposition of how far display technology has come. Dont miss your opportunity to hob-nob at this exciting off-site locale. Get the insiders view on the display, touch and wearables market environments including financial outlooks, successful business models, and new technologies at the SID Display Week 2016 Business Track, co-organized with IHS. 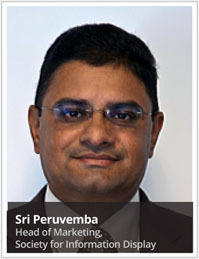 This years Business Track will consist of four must-attend conferences. Known as the City by the Bay, San Francisco is also known as one of the most exciting cities in the world. The Golden Gate Bridge is only the beginning: Its bright lights and buzzing streets hold some of the worlds finest restaurants, unique shops, best museums and most stunning architecture that make it a travel destination for foodies, shopaholics, families and  yes  conference goers. Whether you want to see a historical site like Alcatraz or take a trolley car to cruise up and down the citys rolling hills, or just enjoy a stunning view of the Pacific Ocean, San Francisco in the spring is definitely a treat. http://www.inside-guide-to-san-francisco-tourism.com" style="color:#1b75bb; font-size: 16px; line-height: 24px; ">http://www.minitime.com/trip-tips/Insider-Guide-San-Francisco-article" style="color:#1b75bb; font-size: 16px; line-height: 24px; "> http://www.sanfrancisco.travel" style="color:#1b75bb; font-size: 16px; line-height: 24px; "> http://www.sanfrancisco.travel. © Copyright 2011-2016 SID - All rights reserved. SID thanks the support of several leading media, trade associations and partners who are once again helping promote this years Display Week, including: IDTechEx, M&E Tech, oled-info.com, Photonics Spectra, Physics World, Solid State Technology, Veritas et Visus and Virtual Press Office/PR Newswire.